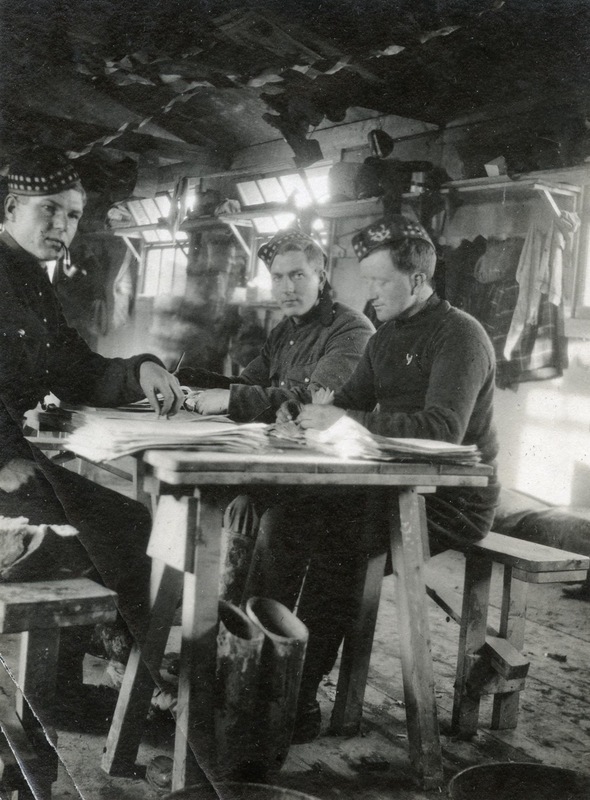 This wonderful photograph from the John Denholm scrapbook shows three members of the 16th Battalion (Canadian Scottish) checking attestation papers in a Lark Hill hut sometime in January 1915. Judging from the decorations festooned from the ceiling this may have been early in the new year. Seated from left to right are “Nobb?“, Scotty Dunlop and George McKenzie. The handwriting on the back of the photo is difficult to read but I can find no soldier in the 16th with a surname beginning with “Nobb” and so I presume it was a nickname. “Scotty” Dunlop is almost assuredly John Dunlop (#28825) who was born in Scotland and attached to the 72nd Seaforth Highlanders of Canada. Private George McKenzie (#28998) was featured in a previous article since which time I’ve been contacted by Ian Gedge in the UK. He is in possession of George McKenzie’s photo album which he believes was given to one of his relatives while George was recuperating from injury in England during the war. 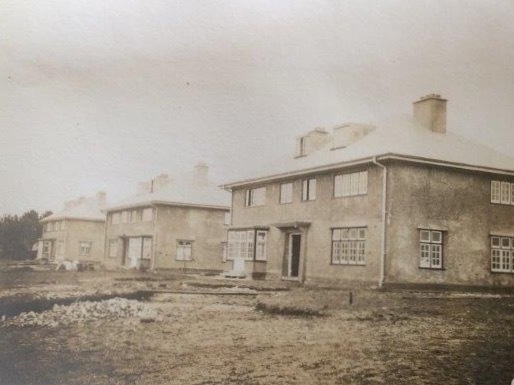 The Lark Hill photo above also appears in his photo album as does the image to the left entitled “The hospital Salisbury Plain“. Many thanks to Ian for letting me share it with you here. 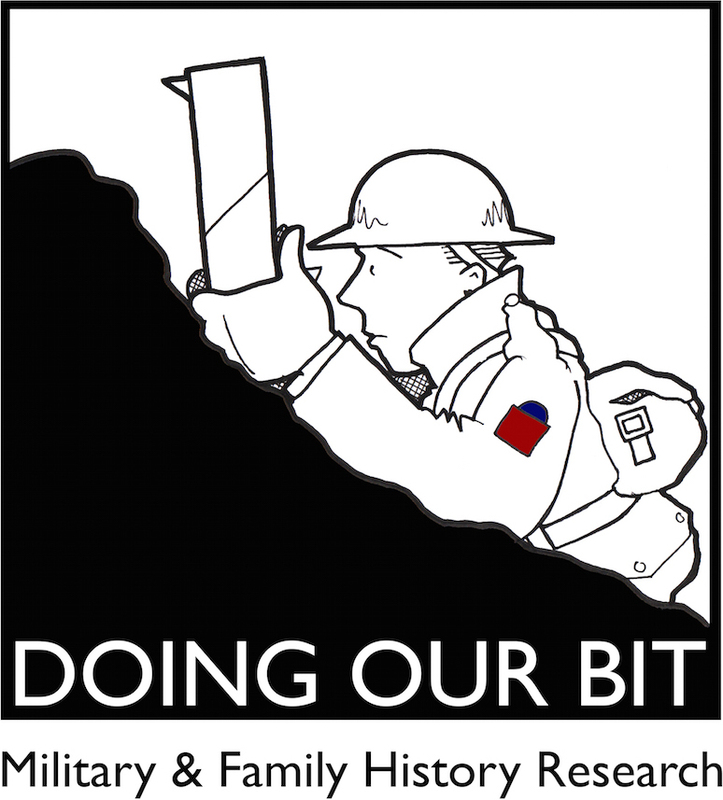 Categories: George McKenzie, John Denholm, Photographs, Soldier-related Posts, Who Goes There?